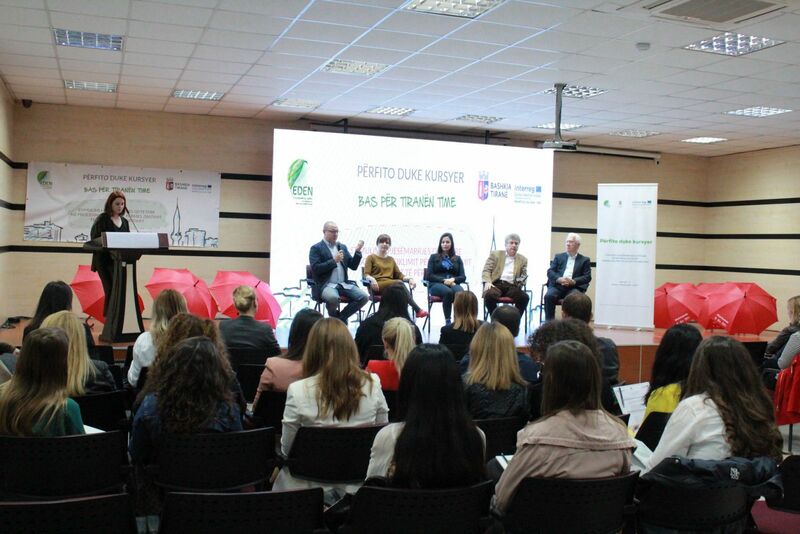 On March 19th 2019, the Municipality of Tirana in cooperation with the EDEN Center, hosted the 4th International Conference "BAS for my Tirana" in the framework of the project Benefit As you Save - "BAS". The conference aimed at presenting a project that brings a new initiative in the recycling process in Tirana, encouraging the community, institutions and businesses to recycle more and consider this process as a benefit system. During the conference held their word Mr. Genci Kojdheli, General Director of Strategic Projects and Economic Development, Mrs. Adela Abazi Director of European Integration and EU Projects. Furthermore, the BAS Project Partners, Nea Filadelfeia-Nea Chalkidona, Limassol Municipality -Cyprus, Sofia Municipality- Bulgaria, Tirana Municipality - Albania, Environmental Center for Development Education and Networking Albania -EDEN, University St. Kliment Ohridski-Bitola – North Macedonia have presented their practices of BAS Plan. A series of discussions were made about the application of recycling process by citizens, business companies and institutions in the selected project area. Participants were interested in the models and positive practices applied by other countries in the region.